Once upon a time there was a monster that only came out at nap time and his name was the 45 minute intruder. 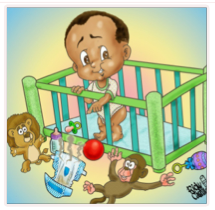 While 'Babywise' officially coined him the 45 minute intruder, he could actually be called the 30-50 minute intruder. Maybe you don't believe in monsters, but this one is very real. 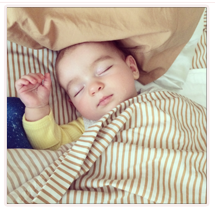 He first arrived when Abram was around two months old, stayed for a few naps and then went on his merry way. Then, around four months he returned and has stuck around. He does not appear for every nap, but definitely for the majority. Abram will go down for his nap, talk himself to sleep, and then right around that 35-40 minute mark I will hear him stirring. 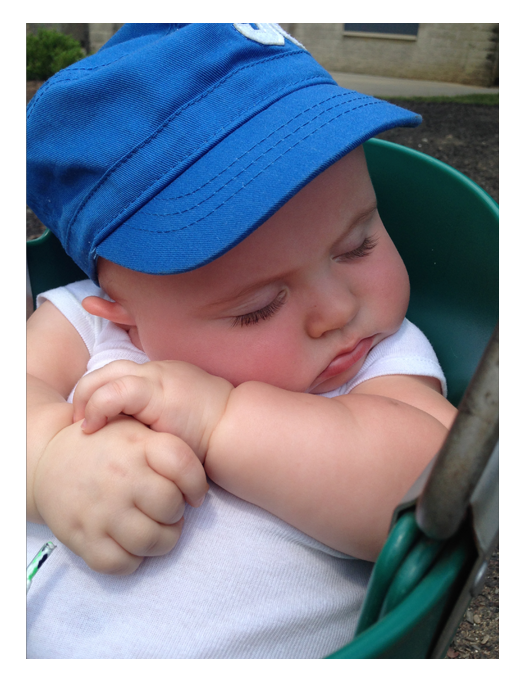 There have been a handful of times that Abram will stir but then will fall right back asleep, but unfortunately the occurrence is rare. I have read (well, skimmed) several books, blogs, and information about infant sleeping habits and this seems to be very common. Babies apparently will wake up at this point in their nap because the change from one sleep cycle into the next can actually arouse the baby. Yes, I know what you are thinking...it is very unfortunate! Not that I even mind if he is awake, I love spending time with the little dude, but what drives me nuts is that I can't get ANYTHING done. I used to be so productive on my days off (pre-baby). I had a checklist of things to do day-to-day and it was incredibly rare that there was anything left on my list at the end of the day. These days, however, my one to-do list will last for weeks at a time. It was very frustrating when this sleep monster first started to appear because while I clearly cannot get anything done while he is awake, I could maybe clean the kitchen and take the dogs outside during "nap" time before he was up again. Not to mention, handling a baby all day long without either of us getting rest, I really started to notice how exhausted I was becoming. Oh, and did you know exhaustion breeds un-productivity? So, yes, a vicious cycle was created. Abram is typically an excellent night sleeper. Unfortunately in the last week or so, he has been waking up early around 5-5:30. He doesn't cry, he just talks to himself and is awake. Maybe I'm getting a glimpse of the other side of this monster. Not only does he interrupt naps, but he also enforces early rising. Regardless, if your child is taking short naps and/or waking up early in the morning, you are not alone with this intrusive monster. So, what do we do? That is where it gets difficult for me. The answer is nothing. I know, right? What an awful answer! The truth is, there is nothing you can do about this sleep monster except to let him come, invade your home, and wait for him to leave. I know it's cliche to say, but it is probably another phase. Just like how rotting fruit tends to attract fruit flies; growth spurts, fevers, colds, teething, etc. tend to attract the sleep monster. Bottom line is that no matter how hard you try to do everything just right (sleep schedule included)--it will never be perfect with an infant. Naps, I have learned, are especially touch and go. Some days they will be awesome and other days (most days) you will be staring that monster square in the face. Eventually baby is going to sleep, whether it is in the car seat, on the floor, or in your arms. Unfortunately, it is what it is. So, at the first signs of stirring take a deep breath. If baby is not crying or upset, let him babble in there for a little while, and when you are ready, put on your smile and go love on that sweet little angel. Monster or no monster, he's probably not sleeping because he'd rather be with you anyway (or so I like to tell myself...)! Meet Kim. Kim is a mother of one to her sweet Elijah. Kim is a strong and proud mother who sees so much of herself in Elijah. Kim has had a number of I Guess I'm Due moments (like all of us!) as she has began her journey of motherhood. Read Kim's story as she takes you through one example and see how she has created a way to reflect on these situations. I am a 30 something first time mom. I completely rocked my 20s and conquered my world; travel, military, adventure, career, education, family and lifelong connections --> ROCKED IT! I was determined to take no prisoners in my 30s until the warden showed up, in a precocious little boy. I have met my match. The little kid that lives at my house is named Elijah. In my pursuit of world takeover, I was given a sidekick. Sure, my husband is my best ally, but Elijah is a reflection of me in spirit and candor. Which I thought meant the world would have to deal with us, but I’ve also learned I have to manage the enigma I brought to this world. There are so many ups and downs, joys and challenges that come with being a parent to a toddler. The fact that I’m a first time toddler parent, and have no frame of reference to some of the crazy antics of toddlerhood, it does not help boost confidence or prepare me for the foolishness that life will surely present and has presented. Just when you think you’ve got this parenting thing figured out, for example a bedtime routine that is somewhat reliable and doesn’t always end in tears, oral hygiene practice that I don’t get bitten then laughed at, or cool drinks of water from the puppy bowl, these kids make sure to let you know “You ain’t got it!” (in my New York accent). Just when you think you’ve figured it out they always pull a trump card that you didn’t see coming. It’s easy to feel like you’re the only one screwing up this parenting thing. I found myself reflecting on the day’s events each night. There were a lot of highlights but then there were those moments that I thought, “I’m almost sure that’s not ok.” or “Who is this kid?” or “We’ll keep this between us.” I started writing notes to Elijah reflecting on these moments and signed them "Unfit Parenting." I decided to share them with my friends on Facebook. I found out quickly that I wasn’t alone. People just don’t talk about it. Here’s an example. "This Sunday started out no different than any other. We had a morning of activity and now Elijah was down for a multi-hour afternoon nap. I felt accomplished. I got to watch some reality TV on DVR, clean the kitchen, mop the floors and was about to start a new task when I stopped to bask in the glory that was the joy of having such a sweet little boy to call my son. I was the best mom I could be in that moment. This is also the moment when he dropped this Sunday’s trump card. This apology note should explain what happened next. This can't be my fault but I'm sure it is, so let me apologize. When I heard you playing after naptime, I thought "How cute?" A few minutes later, I thought I heard you say "Boo boo." But you didn't say it again so I thought maybe not. Until I go to your room an hour later and you're pointing to your diaper on the floor saying "Boo boo." REALLY!? You could have waited for me…but maybe not. Lesson learned. My friends with young children have all said that reading my notes to Elijah have helped them feel normal about having kids. The ones that are considering having kids or even expecting are still scared but they feel like they don’t have to be perfect. Just enjoy the ride. The reality is that our kids are reflections of their parents. They highlight our strengths and weaknesses. They challenge us to use our talents to their highest capacity and strengthen us where we are weak. It’s like the Karate Kid when sensei says “The student teaches the master.” Elijah is my sidekick but he mentors me in many ways. We are not perfect people or parents and its okay. People are faking it and hoping for the best. None of us are 100% sure this stuff is going to work. Don’t be ashamed. Write your kid a note. Let them read it when they’re parents. They forgive you then. Until then, embrace it. #Unfitparent. Thanks for sharing, Kim! We have all had moments like Kim. We feel on top of the world, and then it all comes crashing to a halt! What "Unfit Parenting" moments have you experienced with your little one? The alarm went off early and the fun began! We fixed his hair just right, picked the perfect outfit, and loaded my camera with pictures. Then off we went for a new adventure. As I walked Jakson through the hallways of his new school, he politely asked if he could just walk next to me instead of holding my hand. I smiled and just tried to hold back the tears. 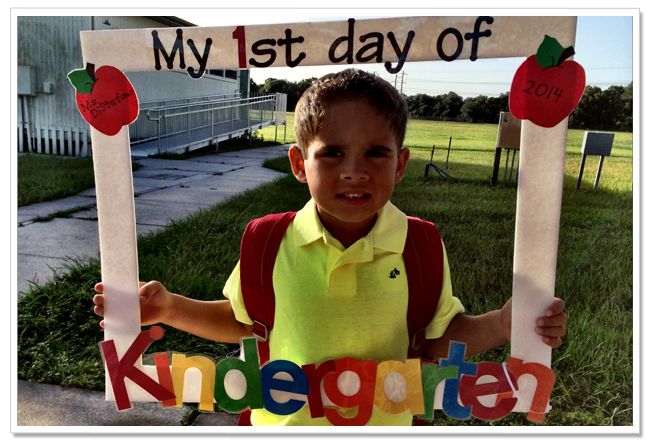 The truth is, when your baby goes to kindergarten you're not crying because you'll be missing them (although, yes you do miss them), you're holding back the tears for so much more. As a mother, I've been there for practically every moment of my son's life. The thought of not knowing what he's doing at this very moment is well, strange, almost unsettling. I watch the clock wondering if he ate his veggies at lunch, if he made friends on the playground, if he's being kind to his peers, if he said his please and thank you's, or if he's even having fun. I won't be able to kiss Jakson's hurts or hug him if he gets his feelings hurt. I can't be there to intervene if he's being teased or make sure he doesn't sit by himself at lunch. When he's faced with peer pressure I can't guide him to make the right decision. Oh, the pains of being a mother. I know everyday will get easier. Easier to trust, trust that I've instilled great values and morals. And trust that we've raised a son who will make good choices when faced with tough decisions. 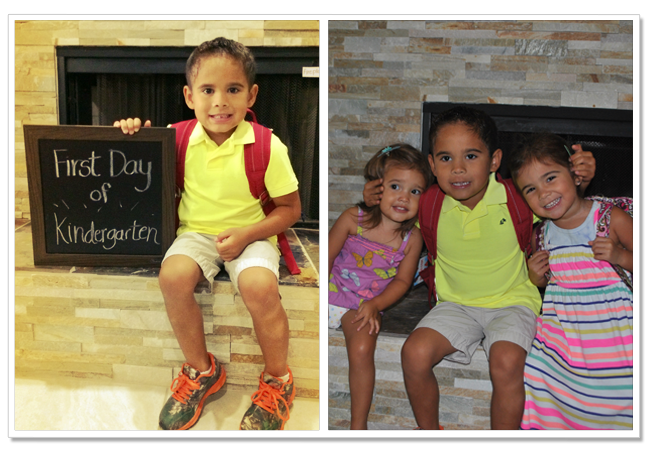 So the first day of kindergarten is much more to a mother than a special day. It's the moment a mother realizes that it's only the beginning of truly letting your child begin to grow up without you right by their side. Oh boy, this should be an interesting school year...Looks like we have a few things to talk about before school starts. Here's to a great school year ya'll! 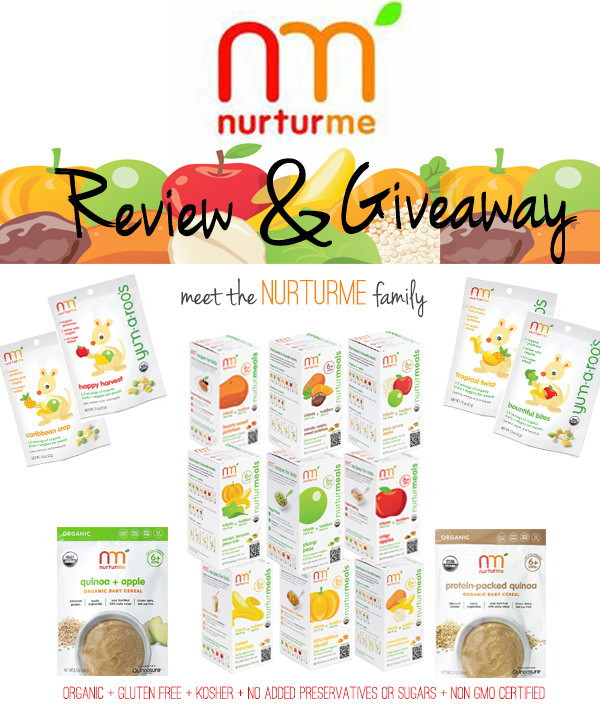 There's a new baby food in town...NurturMe Review & Giveaway! NurturMe is the first and only family of certified-organic, dried fruit and veggie meals and snacks created to nourish healthy growth and overall wellness in your little ones. They are also the only baby food on the market that was designed specifically for the option to mix with breast milk for the added boost in nutrients (both the cereals and NurturMeals). These yummy meals are loaded with vital nutrients and fresh organic flavor. The company’s nutrient-packed and versatile dry meals and snacks are made from specially selected organic super fruits, veggies and grains that are harvested and quick-dried in order to preserve freshness, flavor and vital nutrients. My little ones had the opportunity to try out some of NurturMe's products (and yes, I sampled everything I made too). 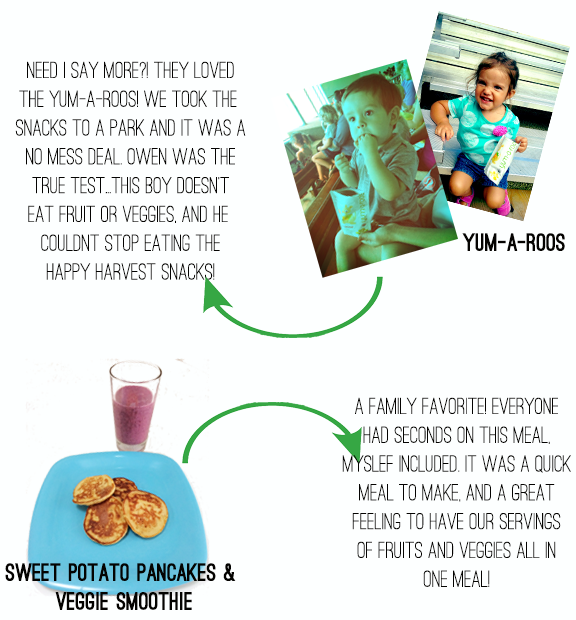 With the help of NurturMe recipes that I found on their website, the NuturME reusable pouch, and the Yum-a-Roos finger snacks, my "test subjects" had a large variety of nutritious meal options. I was able to take some of their NuturMeal pouches and add it to a variety of foods to create a more nutritious, well-balanced meal. And thanks to our friends at NurturMe, one lucky I Guess Im Due reader will have the chance to win a Quinoa Gift Pack plus some Yum-A-Roos! - NurturMe was easy and convinient to use at home or on the go. 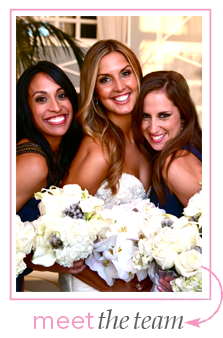 - I loved the large variety of meal options and recipes. - The meals were actually tasty and had a fresh taste to it. - Even the pickiest of eaters were fooled into eating healthy- success!! 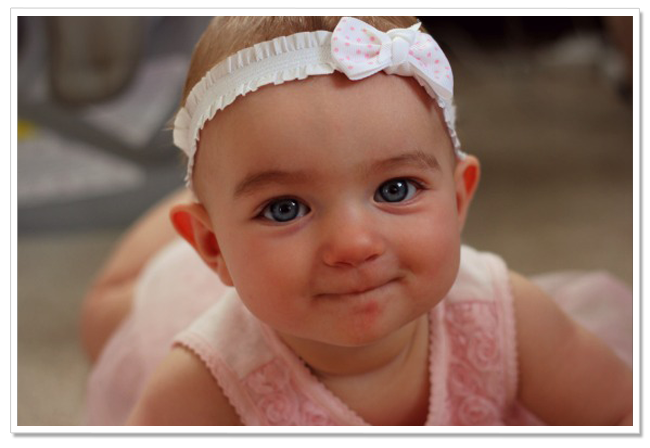 - NurturMe is not solely for babies. 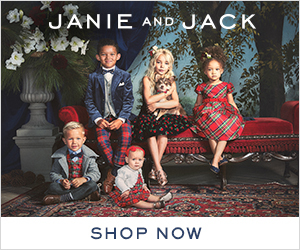 It was great that I could use all their products even with my toddlers. 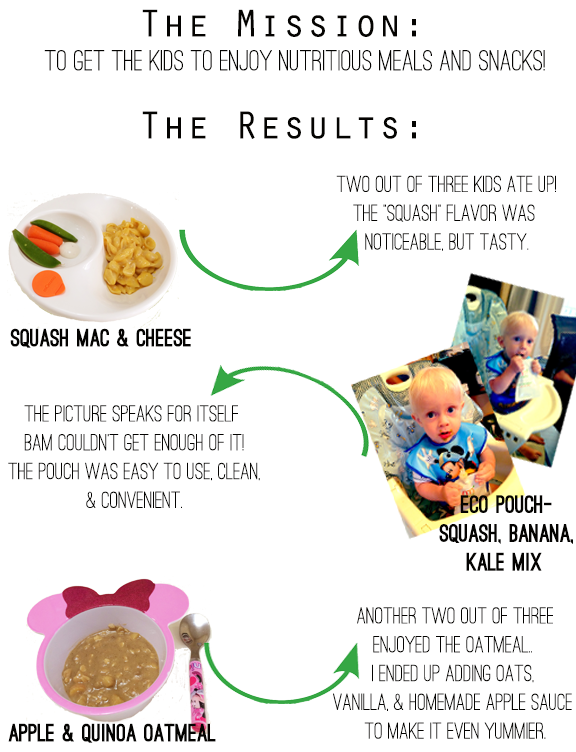 - I'd recommend NurturMe to any parent that is looking for a great alternative to your everyday baby food! To find out more about NurturMe, their products, recipes, and where their products are sold, please visit their website at: www.NurturMe.com. Our random winner will be announced on this page August 15th. Check back to see if you've won...Good Luck! Thank you to all who participated! 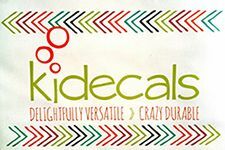 Please check back often for more reviews and giveaways and great posts. Meet Laura. 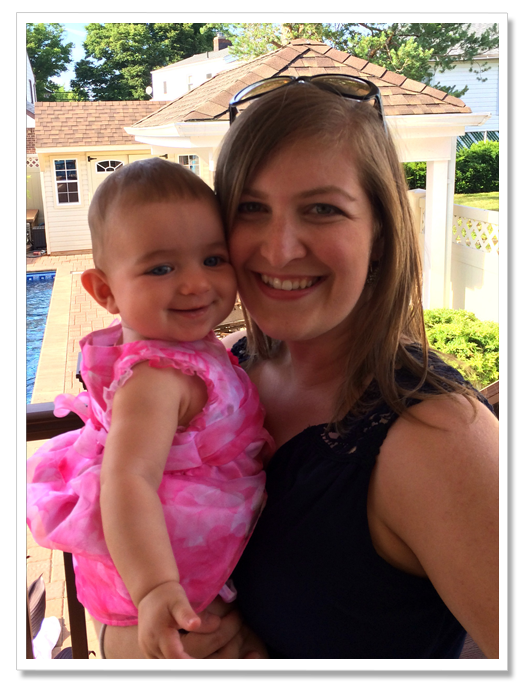 Laura is a mom to her 8 month old daughter, Natalie, and she is also a fellow blogger! Like any new mom, Laura has learned from her I Guess I'm Due moments with baby #1. 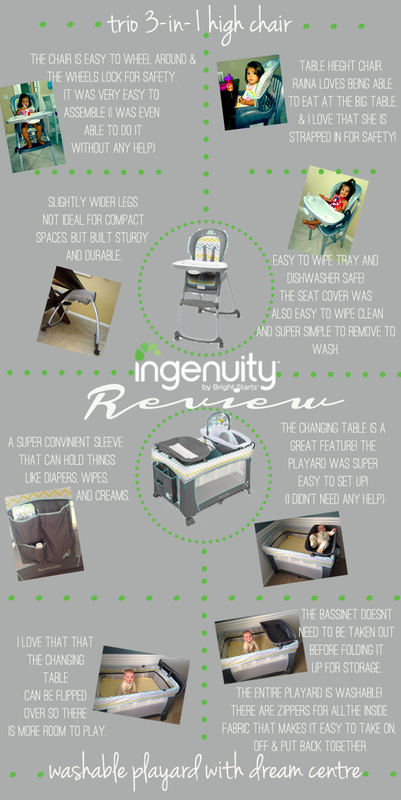 Enjoy reading what Laura has to say about things she may want to do a little differently with baby #2. 1. I wholeheartedly plan to nurse my future children, as I have done with Natalie. However, I would like to have my next child more used to taking a bottle, especially at night time and especially with others. Natalie can go to bed with someone other than myself - it's just sometimes a struggle, and she doesn't prefer it. This one is hard because I truly love putting her to bed, I truly love our nighttime routine, and I don't mind being the one responsible for it. It only becomes an issue when I need to be somewhere or want to go out well...anywhere. 2. This one is hard, but I may have to just put my foot down about not having so many visitors for the first few days when I have my second child. I'm so lucky to be surrounded by a fantastic support system, but when you're trying to breastfeed, and you really don't feel like taking a shower, and you feel like a whale, it's a very stressful and vulnerable time. I know there's nothing like a fresh, newborn little baby, but those that visited a few weeks after Natalie was born had a better time anyway because she was more alert and had a bit of a personality showing through. 3. I'm going to be fine with bringing my next child to bed with me or sleeping with him/her in a chair on difficult nights for the first few weeks. I always felt guilty, or like I was doing something so wrong when I did - but it really did save us many nights, and she had no trouble transitioning to a crib because of it. Now, Natalie is a great sleeper! 4. That being said, transitioning to a crib at 11 weeks was WAY easier than I initially thought it would be - I think I might try it earlier with my next child because it was so nice to not have to whisper or tiptoe around my room every night at bedtime. 5. I will wait to introduce solids of any kind until after 5 months, or hopefully closer to 6 months or a little later. I largely introduced rice cereal and oatmeal to Natalie due to pressure from my doctor and husband. 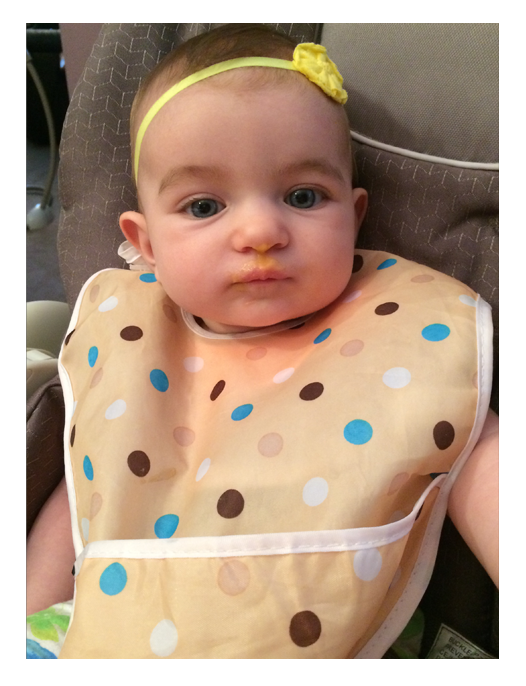 My husband was eager to start her on food, and eager to participate in feeding her since I was solely nursing. I understood that, and I don't regret starting her when we did. I don't think it was hurtful to her in any way, I just don't think it was necessary. Feeding her food was actually more of a hassle than just nursing anyway - high chair, bib, mix oatmeal, have pumped milk on hand to mix with food, thaw fruit or veggie to mix in - it was a whole new element to the day that while fun, wasn't really necessary so early on. 6. Natalie kind of naps wherever and whenever right now. We're not on a set schedule and it all depends on how she sleeps each night (which tends to vary) When she naps she's either in her crib, on the couch, on a blanket on the floor or in her swing. Any of those places doesn't affect me now, but I know that our next child will not be able to take a nap in the middle of the living with a toddler likely running around making noise. I'd like to establish that naps happen in the crib and only the crib. 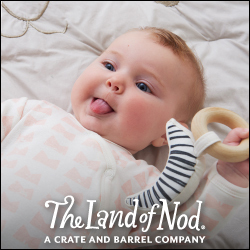 (or swing for extra difficult days), in the child's room, upstairs, and away from any noise or distraction. Maybe some of these are pipe dreams and I'll end up doing things exactly the same as the first time. But it will be nice to go into the next one with a little experience, a little more confidence, and a little more peace of mind knowing that no matter how much I plan for the next baby, she/he will probably be the complete opposite of my first anyway. What are some things you hope to do differently with your next child? What did you do differently when you had your second child? (or 3+)? Happy world breastfeeding week! How funny that I didn't even know a week like this existed until I became a breastfeeding mom. 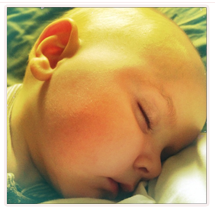 In honor of this special week, I came up with my top three reasons that I decided to breastfeed. I realize that breastfeeding is not for everyone and/or that not everyone can physically do it, and guess what? THAT IS 100% OKAY! As mothers, we do what we think is best for our babies and that is all that matters. 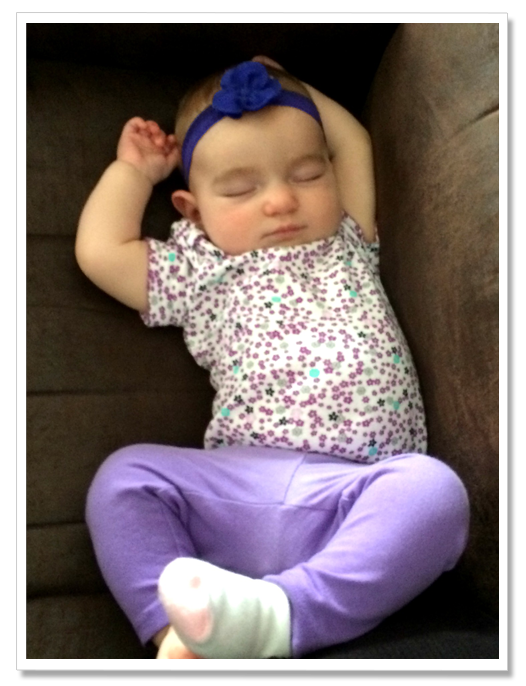 Okay, so here we go...the top three reasons this momma decided to breastfeed--Ready, GO! 3. Financial. For those of you that don't know me, I'm a huge fan of Dave Ramsey. We do our best to "Live like no one else, so later we can LIVE like no one else!" I have a love-hate relationship with this kind of lifestyle, but lucky for me, breastfeeding fit right into it. Formula is very expensive and those little cans that they sell go very quickly. I was having a hard time calculating how much I would be spending on diapers in a year, let alone adding formula to that equation--don't worry, my palpitations eventually went away. No, but seriously, breastfeeding saves an incredible amount of money. 2. The bonding. When Abram was born, no question, breastfeeding was awkward. I could never get the hold quite right, the breastfeeding pillow always pushed him up too far, and I was always so tense trying to figure out if he was comfortable, getting a good latch in this position, etc., etc. Not to mention, the initial latch feels so weird and for 2 weeks after every latch is painful. Toe curling, squirming, sometimes crying painful. So where does this bonding come in? In the early days, it would take a little bit for the sting to wear off after the initial latch, but when it did, there was no greater feeling than holding my brand new baby and nursing that sweet bundle. I was always amazed when I would look down at him and think about how wonderfully made this tiny human was; nursing was innate for him. He just knew how to do it! That is so crazy and so cool. Now, six months in, there is absolutely zero pain (until he pops a tooth and bites down--that will be fun) and I still marvel at how well he does with it. When he pops off and flashes me that big, gummy grin and then jumps right back on, my heart just bursts with love. Six months of breastfeeding thus far and I can't think of anything I would have rather been doing with all of those hundreds of minutes I've spent nursing him. 1. Health benefits. Okay, so I'm a nurse--what did you expect? I'm not going to go into all of the "Research says..." stuff because if you care what the research says, you would read it on your own. All I'm going to say is that breastfeeding makes for one healthy baby. Momma's breastmilk helps protect against all kinds of illnesses for baby, reduces the risk of allergies, lowers the incidence of childhood obesity, and lowers the risk of SIDS (Sudden Infant Death Syndrome). You should also know though, that there are also health benefits for YOU--the momma! Breastfeeding can decrease the risk of postpartum depression and certain types of cancer, while melting away that baby weight! Not really a health advantage, but how awesome to know that you single handedly put a bunch of weight on that newborn baby! What an awesome feeling--you go momma! So that is my spiel on why I chose to breastfeed. What are your reasons? I would love to hear them! Happy World Breastfeeding Week from I Guess Im Due! Here's to a week of plentiful milk, cheers! Let’s face it, being a mom is a 24/7 job. It's hard. It's exhausting. It's draining. That’s why making sure you set time away for yourself is very important. Taking the time to clear your mind, gather your thoughts, breathe, and relax- alone, only makes you a better mom. 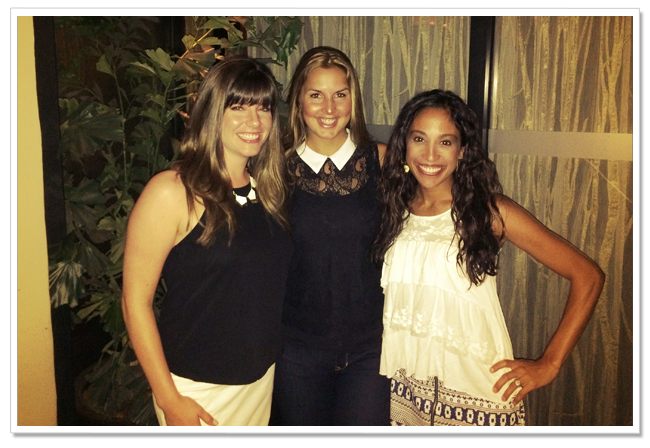 This past week I was able to get away for a few days and travel to California to visit some of my best girlfriends. It's very rare that I get away for a night, and getting away for four days, that’s basically unheard of. But, with the help of my amazing husband and family, we all worked together to make this happen! Yes, it took an army of people, careful planning, and meticulous organizing, to be able to leave behind my three kids and husband, but it was well worth it. For four days I relaxed. I forgot what it was like to only have to worry about myself. The first day was strange. I felt out of my element. You see, every waking moment at home I am “Mom”. That means I am constantly going, doing something for someone. But on my trip, I was just, "Ester". I did things that I never get to do for myself. Simple things like, taking a long shower, alone. I took a nap. I curled up on the couch in the middle of the day and watched grown up TV. I read a book. I sat down. And, I had complete, uninterrupted thoughts (okay, and maybe we squeezed in a little Joan Rivers too). This trip helped me remember what it was like to have spontaneous fun. 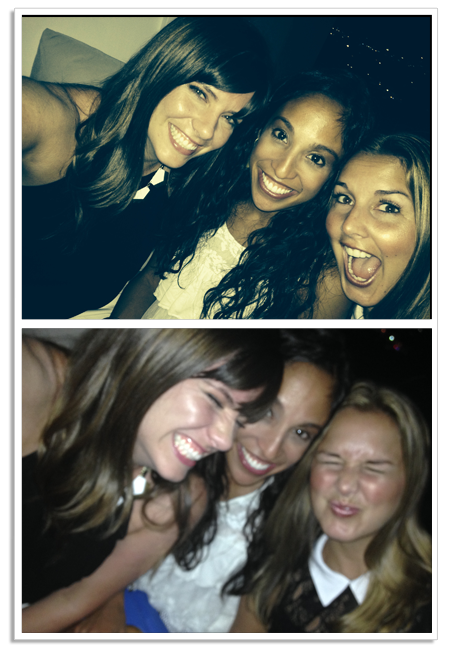 We blasted N’Sync and Spice Girls and jammed out like our college days. I laughed to the point of tears as we joked around and reminisced about old times. And four days later, I am refreshed and renewed. I'm ready to take on the world again! Okay maybe just my little world, but still. Here's the deal, every mom needs time away for themselves. You deserve it. So make the effort at least once a year to leave behind your work, your world and just be you. And when you return to your sweet babies you’ll be ready for whatever lies ahead...chaos and all!